House: "You Must Remember This"
Maybe it's just that last week's episode set my teeth on edge; maybe it's just that I'm in an unaccountably good mood tonight. Maybe it's the drugs I didn't know I was taking. Whatever the reason, I thought "You Must Remember This" wasn't half bad. There was no wincing involved, no forced drama, no dramatically convenient rainstorms or tedious family squabbling. Okay, so maybe there was a little family squabbling, but it wasn't main character related, and it actually worked toward the episode's big themes. All three big plot threads this week essentially worked, and none of them dragged too badly, or relied on obviously forced writing to reach their end point. There were rough patches, sure. Martha was her usual bag of doe-eyed tics and tremors, and her big scenes with the PotW's sister were predictably irritating. Overall, though, "Remember" worked. It's a tone the series really should aim for more often: light, occasionally clever, with a few bitter pills to choke down before the end credits. Also, Wilson's back! And he has a cat, now, which has House worried. Of course, before we got to the cat, we had to run through the usual routine of House getting suspicious, Wilson lying, House asking Cuddy what Wilson's lying about, then Cuddy (sort of) lying, until House gets fed up with the whole process and breaks into Wilson's apartment. Once again, I have to question the point of this; Wilson, Cuddy, and House have known each other for years now. Surely, everyone realizes that it's impossible to get much of anything past House and that any attempts at subterfuge or evasion will simply make him more determined to find the truth. Maybe they just love savoring the thrill of defeat, I dunno. Anyway, Wilson inherited his neighbor's cat after she passed away, and House is worried he's turning into a spinster. So House decides to force Wilson to hit the bars. We get some funny/mean business as the two cattily dismiss most of the women around them, Wilson picks up a barista and then flakes on her, because he's not quite ready to date. House gives him ten days, and Wilson accepts this. It's not brilliant, but I'll say it again; the only relationship on this show that's always basically worked is House and Wilson's, and tonight was no exception. The PotW was a bit better than the usual run: a waitress named Nadia who can, apparently, remember everything. We learn this when she catches a customer in a lie, which initially led me to think she isn't a very good waitress. I was pleasantly surprised, though, when we learned that Nadia doesn't really have perfect memory. Instead, she has McCloud's Syndrome, which in her case, led to a specific sort of OCD that caused her to go over her memories again and again and again. The result was apparent perfect recall but one in which she tended to fixate more on the negative moments than on the positive ones. Which means she can't get over her sister Elana's past mistakes, even after Elana gives her a kidney. It's a very House-ish condition, in which an overly harsh perspective is mistaken for an objectively perfect one, and it connected to both subplots tonight without really hitting anyone over the head. Wilson isn't quite ready to move on because he can't forget his past. As for Taub, well, he's having his own share of memory problems; only he's forgetting what he should know by heart. He's got take a test to renew his doctor creds, and he fails the first time through. 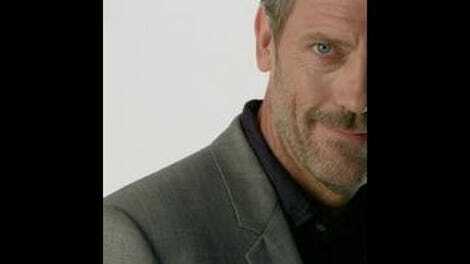 House forces him to take on a tutor from the team, he picks Foreman, and the resulting subplot brings out the best in both characters. Taub doesn't want to study because he choked during the test, and he's worried he's going to choke again. So Foreman gives him a pep talk, the two play some video games together and bond, and Taub, in the end, cheats. It's the kind of light with just a hint of cynicism tone that I mentioned before, and it never gets bogged down. And hey, they're roommates now, which is actually surprisingly sweet. Which means that only Chase and Martha are left to their own devices currently. (Wilson has that cat after all.) Maybe they'll hook up. So, this was a definite step up from last week. The characters didn't stretch themselves out of shape to create arbitrary drama (silly as it was, at least Wilson and Cuddy's lying was consistent), the stakes were solid but never overstated, and I didn't shout at the screen once. That's practically a new record for this season. Who knows what next week will bring? I did find the "memory retrieval" effect a little silly. Very glad this wasn't a Valentines Day themed episode. Although, "If it's any solace, everyone dies alone," probably covers it for this show.